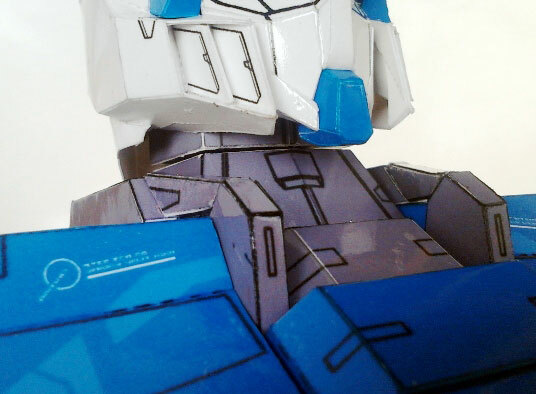 GAT-X102 Duel Gundam Paper Model - Torso	. 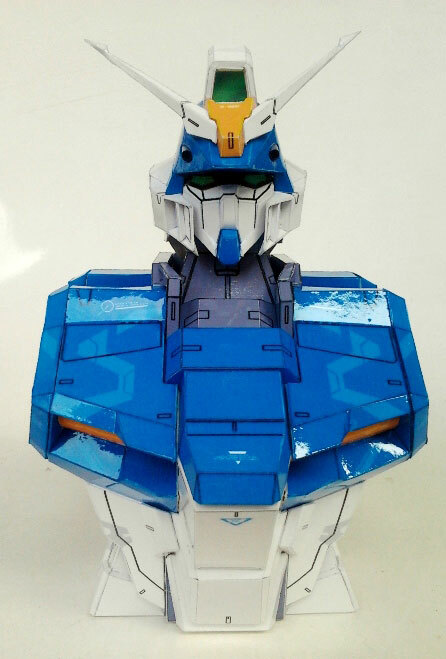 Good news for you who build GAT X-102 Duel Gundam paper model, Rino has released the torso part. 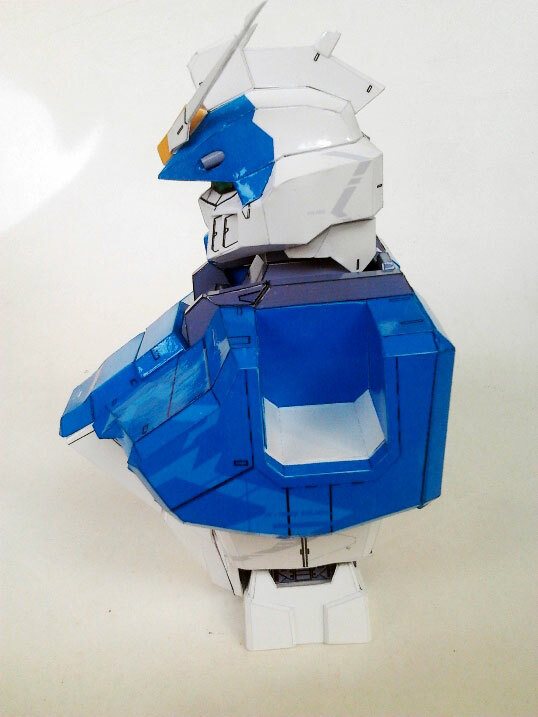 Like usual its assembly instructions is in PDO file which you can open with Pepakura Viewer. 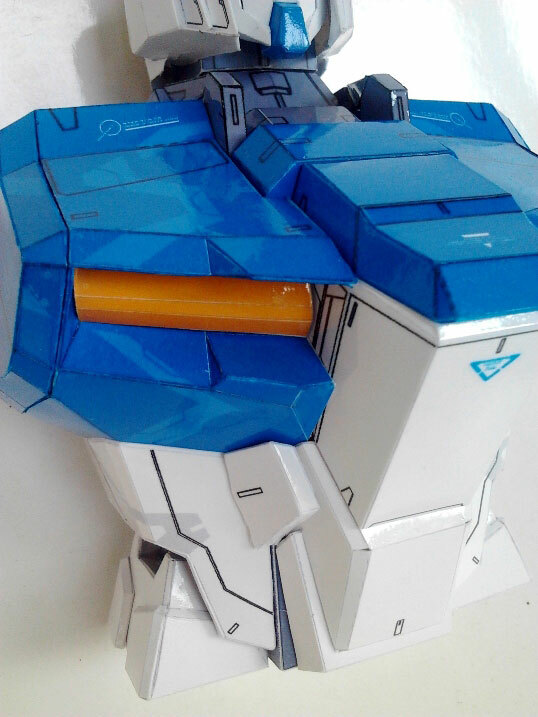 The PDO file cannot be assembled because contain only the left side of the torso, it were made specifically just for assembly instruction purpose. 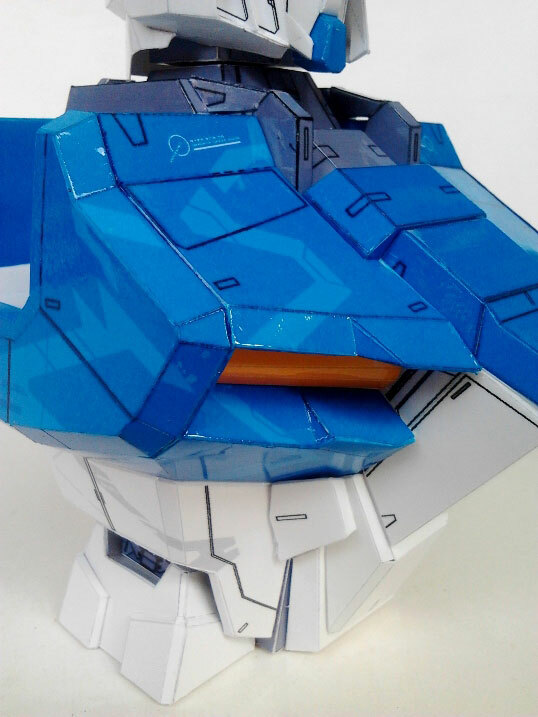 The template itself comes in PDF (6 pages). 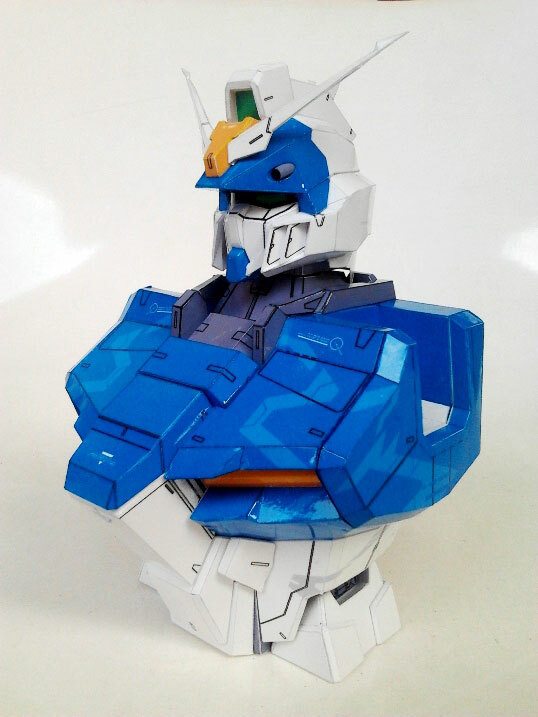 The model photos were built by Rino himself using 190 gram Art paper printed with Canon iP1300. 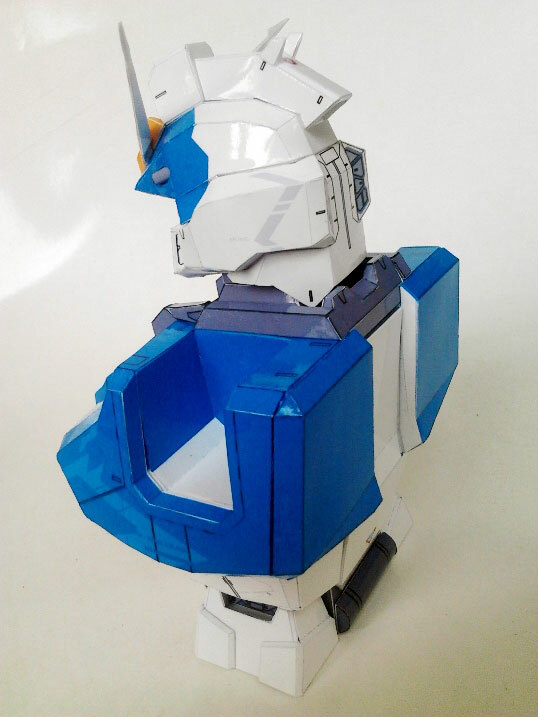 He modeled this Gundam 3d model by using Google Sketchup.